Five players including Caleb Evans from ULM, Jeffery Wilson from North Texas, Thomas Sirk from East Carolina, Shamad Lomax from New Mexico State, and Emilio Nadelman from USF have been selected as the College Sports Journal All-Stars for the week ending September 24th, 2017 from the NCAA Division I FBS Group of Five schools. 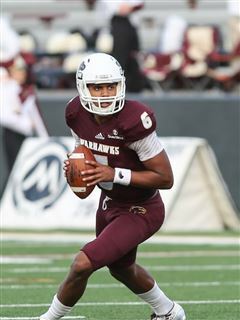 Caleb Evans, Louisiana-Monroe, QB, So., Mansfield, Tex. Caleb Evans accounted for a career-best 472 total yards and six touchdowns to lead ULM to a 56-50 double-overtime win at Louisiana in the Sun Belt opener for both teams. Evans also set career highs for completions (28), passing yards (343), carries (16), rushing yards (129), rushing TDs (tied school single-game record with 5) and TDs responsible for (6). He scored on TD runs of 7, 38, 7, 5 and 6 yards. 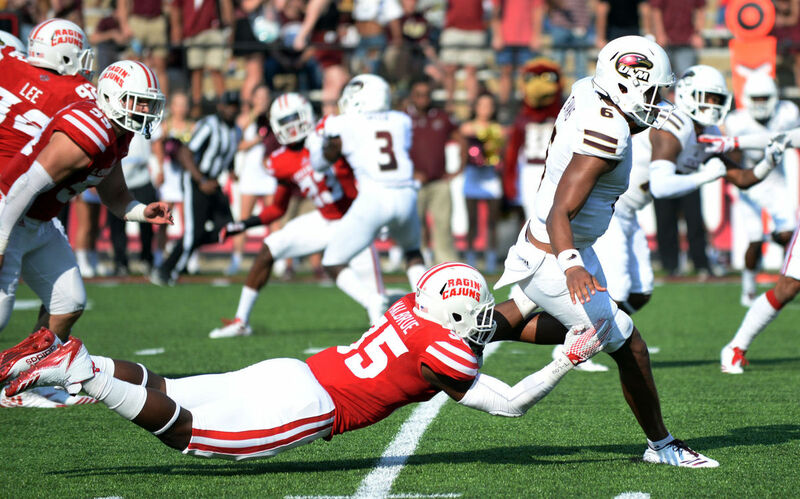 The win also snapped ULM’s three-game losing streak against the Ragin’ Cajuns. Jeffery Wilson, North Texas, RB, Sr., Elkhart, Tex. Wilson had the best statistical game of his career this week, posting a career-high 211 yards on 26 carries with a touchdown in the Mean Green’s win over UAB in the C-USA opener. The Elkhart, Texas, native averaged 8.1 yards per carry and has now scored at least one rushing touchdown in his last five games, dating back to last season’s Zaxby’s Heart of Dallas Bowl. Wilson busted off a monster 34-yard run with just 17 seconds left to set up Trevor Moore’s game-winning field goal. Saturday’s performance marked Wilson’s first career 200-plus yard game, surpassing his previous career-high total of 188, set last season in a win over Marshall. Wilson moved into fifth all-time on the Mean Green rushing list with 2,508 rushing yards and his 22 career rushing touchdowns rank sixth in school history. Thomas Sirk, East Carolina, QB, Sr., Glen St. Mary, Fla.
Sirk completed 30 of 39 passes for a career-high 426 yards and three touchdowns to lead ECU to a 41-38 win at UConn in the Pirates’ conference opener. Sirk completed his first 11 passes of the game, had 15 of his completions go for 10 yards or more and led ECU to 596 yards of total offense. 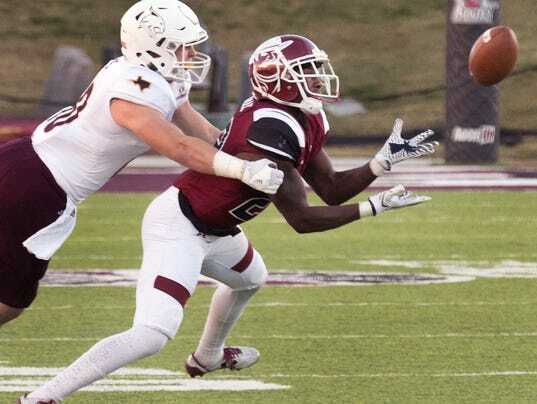 Shamad Lomax, New Mexico State, DB, So., Due West, S.C.
Shamad Lomax had a career night on Saturday against Battle of I-10 rival UTEP. The defensive back posted nine tackles and a career-high three interceptions. Lomax also returned one interception for a 19-yard touchdown. The three picks was the first time an Aggie has done so since Nov. 18, 1995. 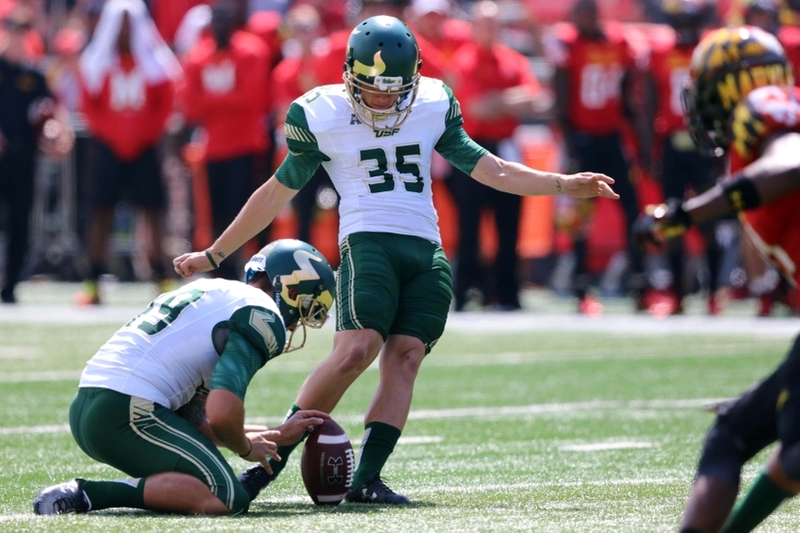 Emilio Nadelman, USF, PK, Sr. Miami, Fla.
Nadelman set an American Athletic Conference single-game record for points scored by a kicker as he hit five field goals and four extra points for 19 points in the Bulls’ 43-7 win against Temple. Nadelman hit field goals of 44, 28, 25, 37 and 44 yards and is one of two kickers nationally with five field goals in a game this season.